Sometimes classes will have left over clay when the projects are complete. This project is especially easy if the left over clay has been rolled to 1/4 inch thick. These simple projects can be used as gifts or to sell as a fundraiser. 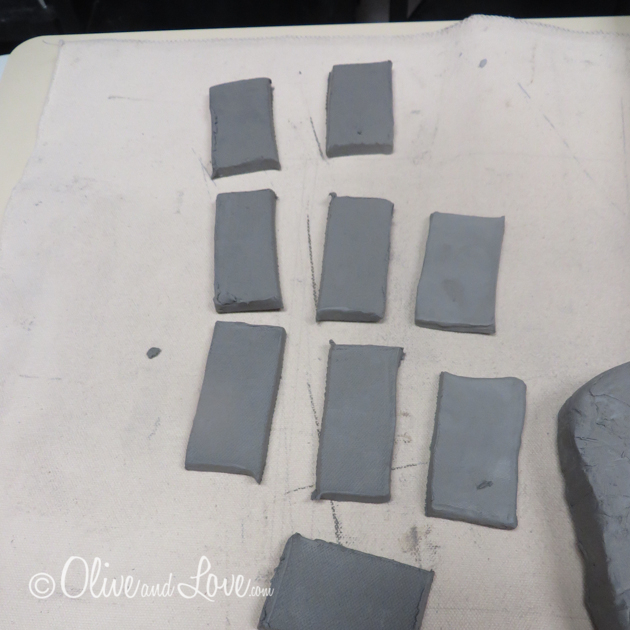 Trim left over clay into small simple shapes using wooden skewer over clay mat (rectangles, squares, triangles). Press clay with molds into clay. 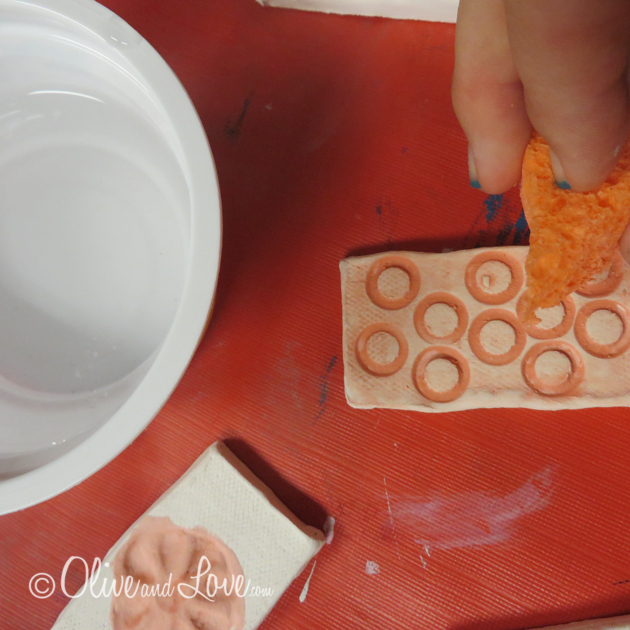 Roll texture materials onto clay using rolling pin. Roll flowers or plants onto clay using rolling pin. Wipe off with sponge, leaving colored glaze in recessed impressions. Paint over whole clay piece with clear glaze or carefully paint another color onto elevated areas. Hot glue magnet to the back after glaze fire.